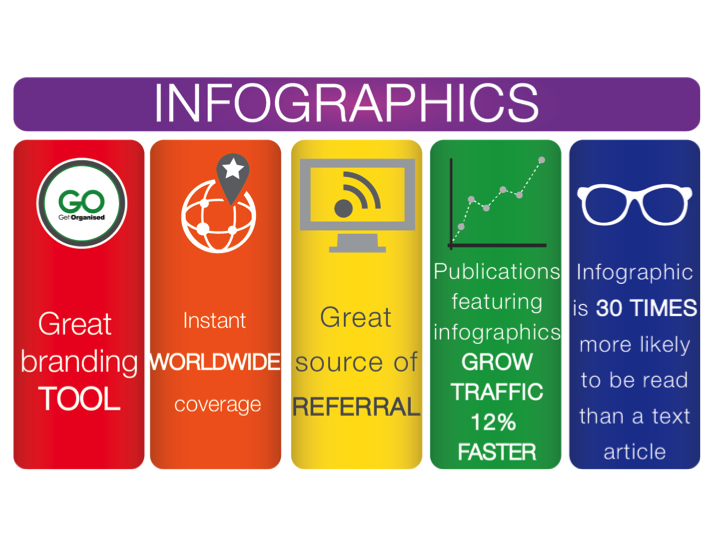 Infographics are a visual representation of information. They are a great way of transforming text and statistics into something much more interesting and appealing. We can create infographics for your business, so why not GO Get Organised with your content and let us turn it into an eye-catching picture for you? Find out more about flexible, affordable financial support for your business. GO Get Organised Finance offers part-time help with bookkeeping, accounting, VAT, management accounts and year end.